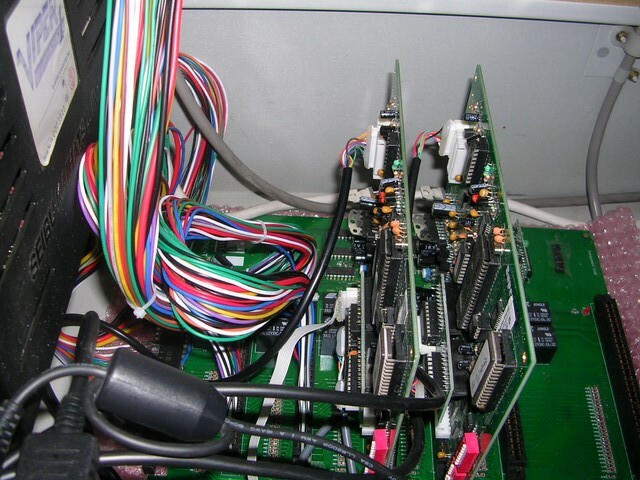 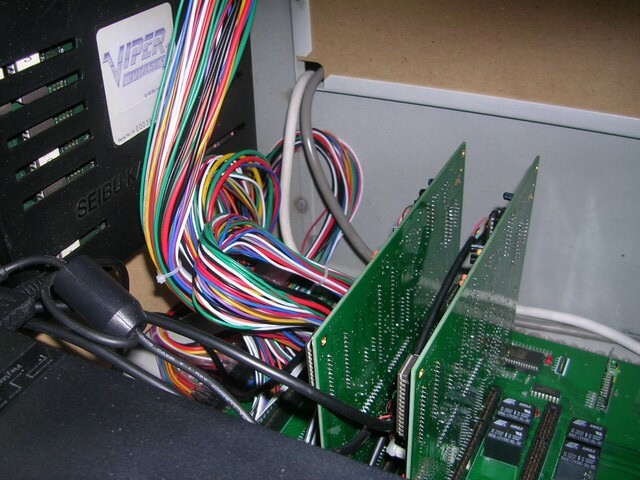 Built some new machine holder in wood and assembled some parts accumulated during the past year: instruction sticker, 6x JAMMA switch and... two great PCBs! 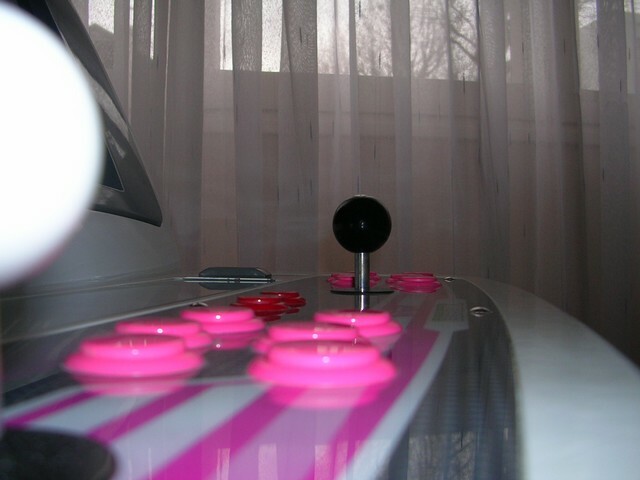 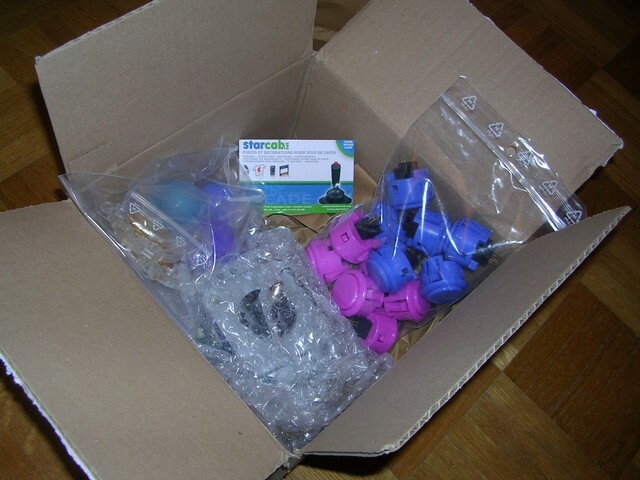 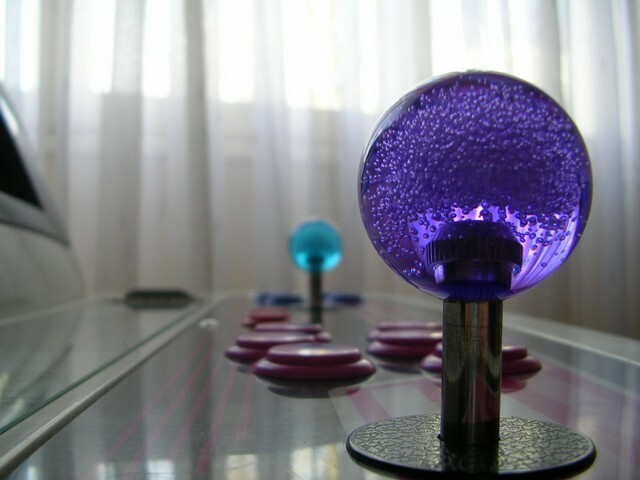 Mounted brand new Sanwa buttons and Seimitsu ball knobs. 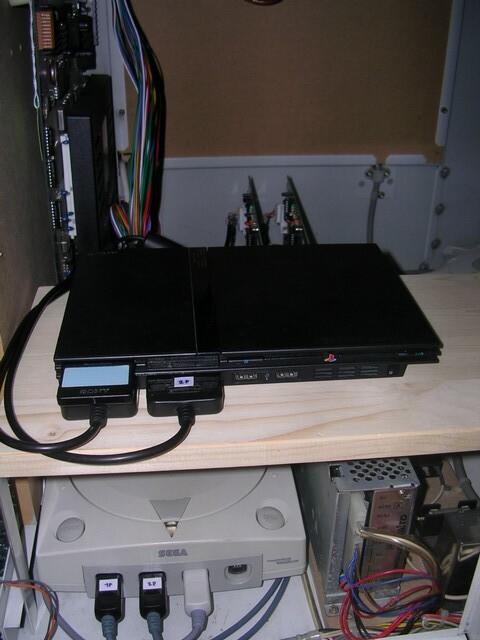 One Sega Dreamcast, one Sony Playstation2, two very good "Super" JAMMA adapters from ExcellentCom and one no-name electronic JAMMA switch. 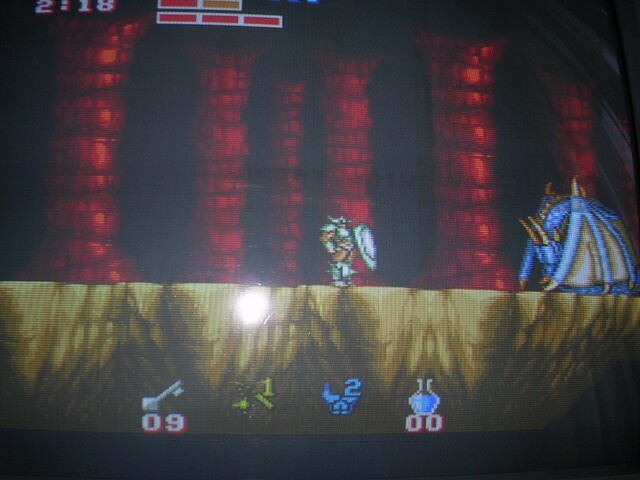 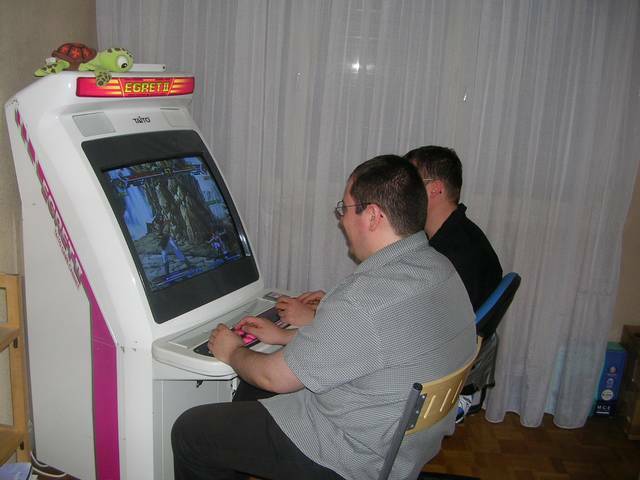 Friends having lot of fun playing Hokuto no Ken (aka Fist of the North Star ou Ken le survivant ;-)). 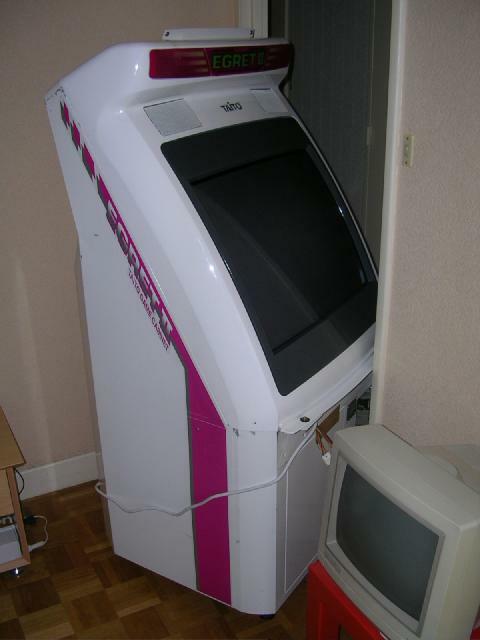 Panel removed and cabinet moved to its final location. 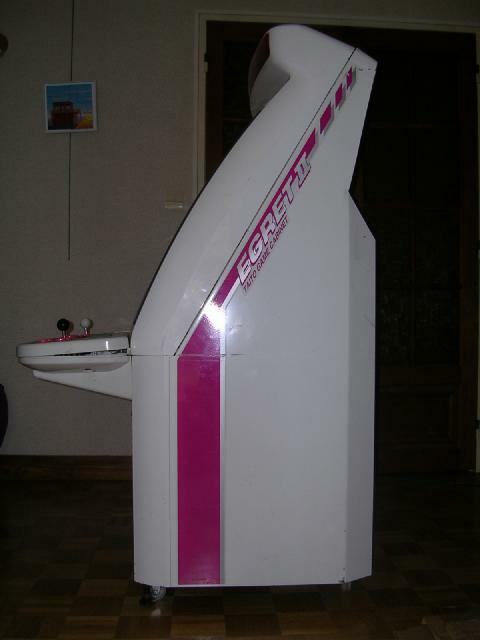 After a few months waiting for news from the now defunct ArcadeRick shop, finally the beast arrived! 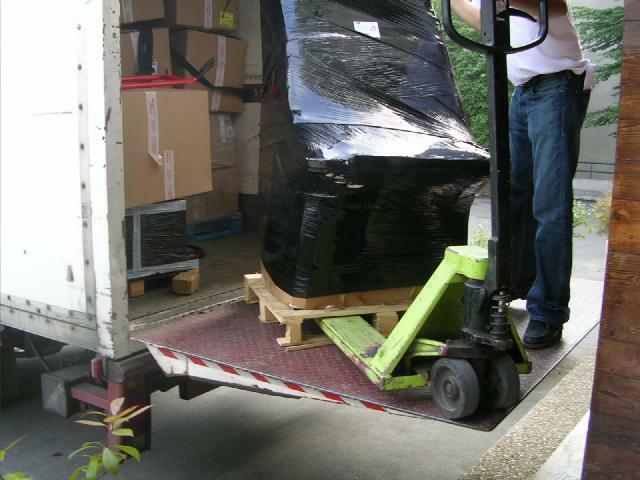 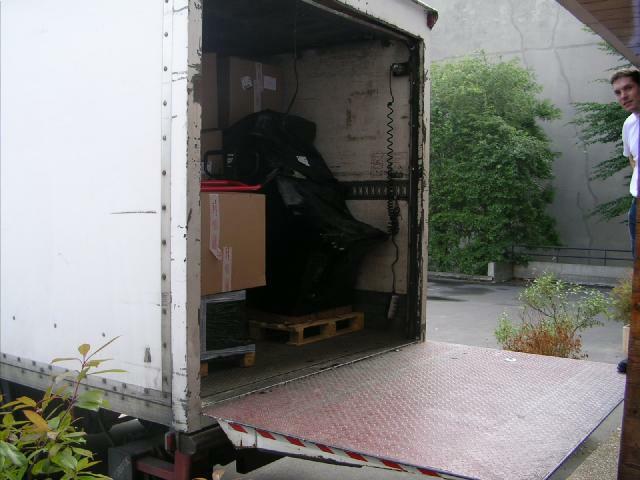 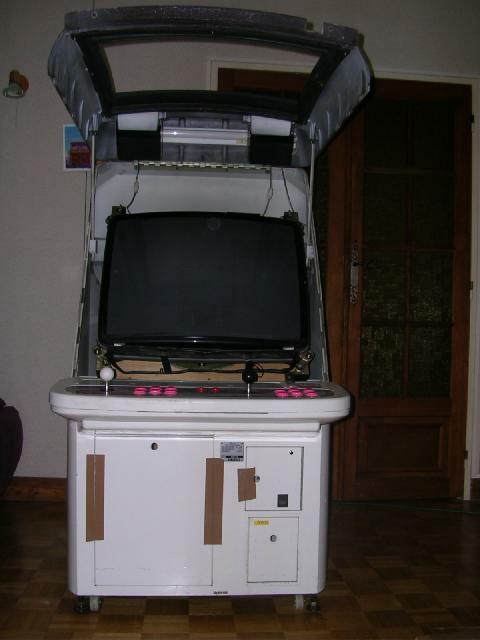 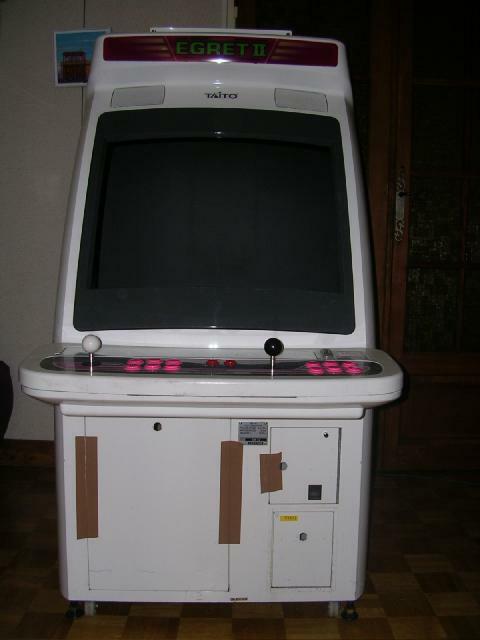 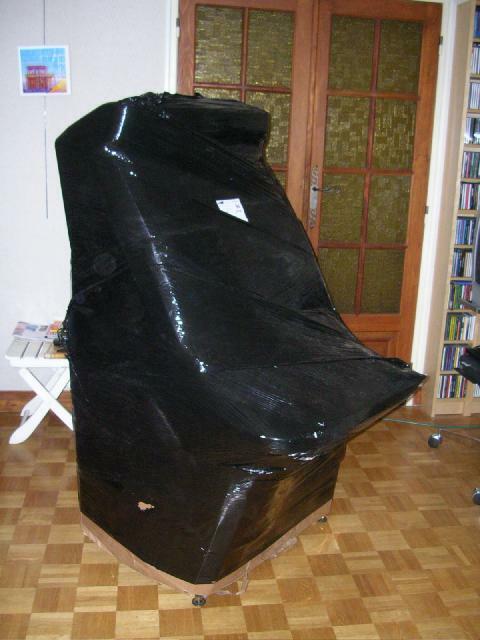 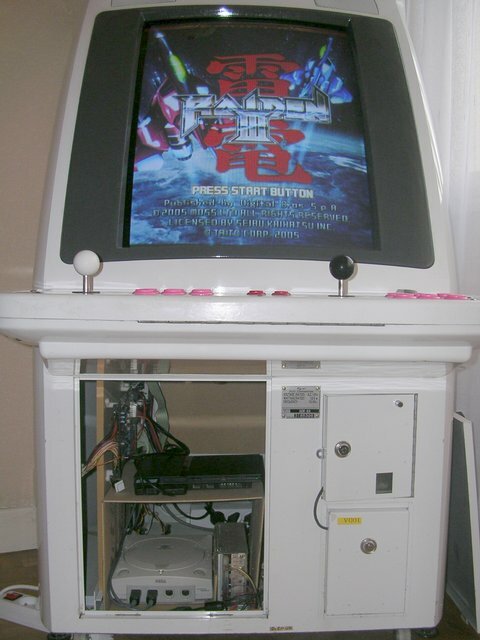 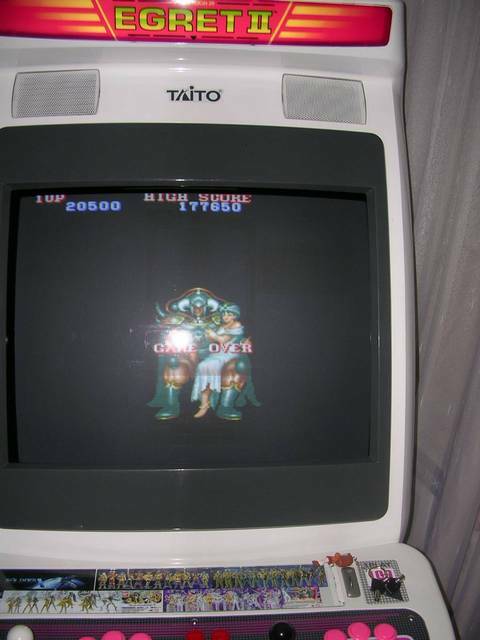 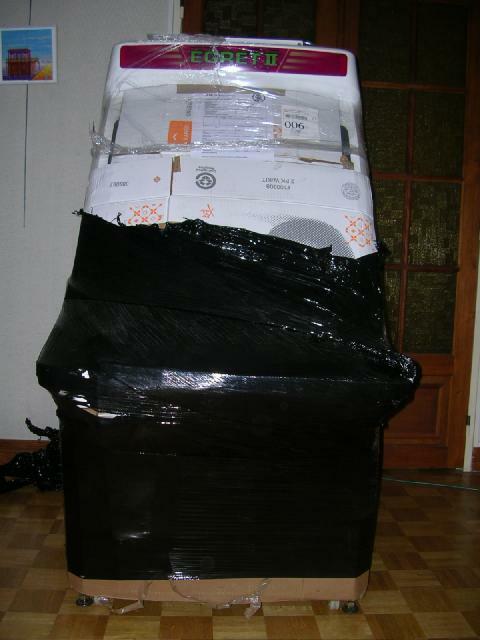 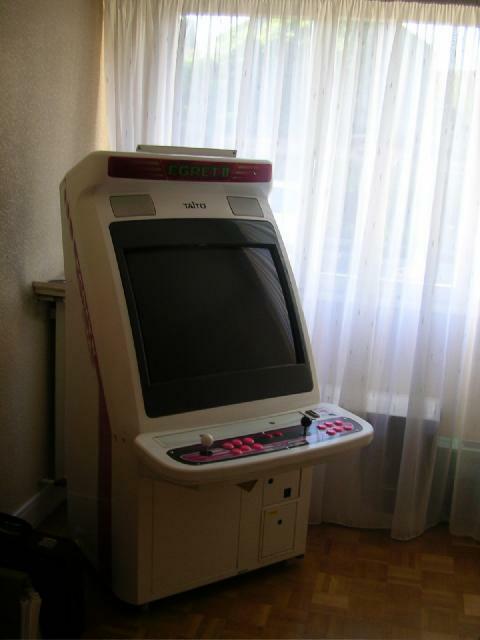 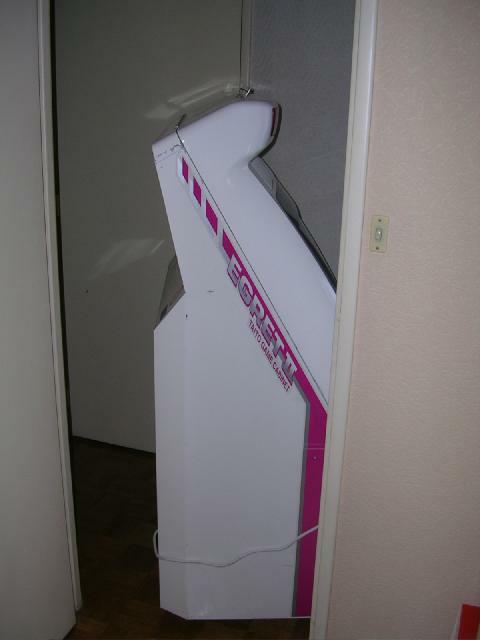 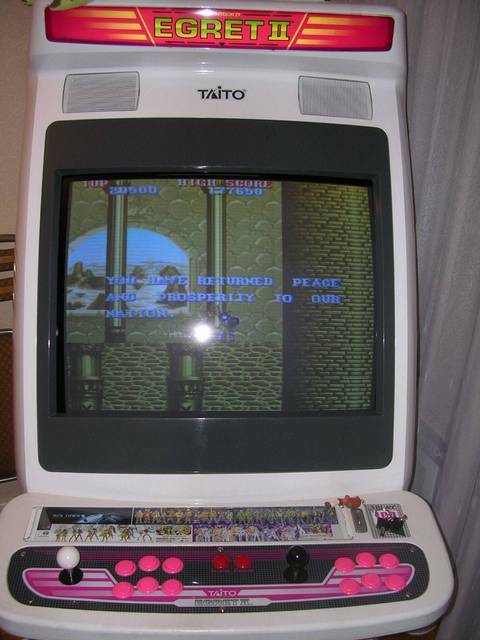 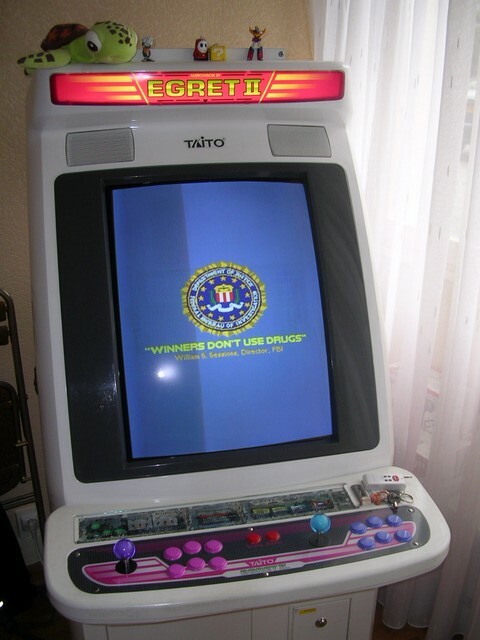 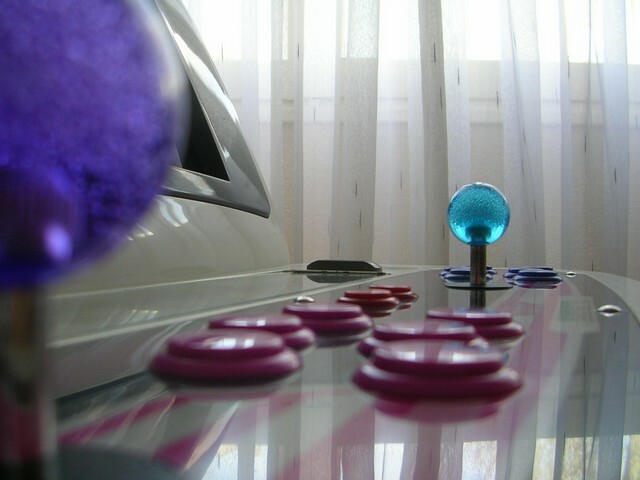 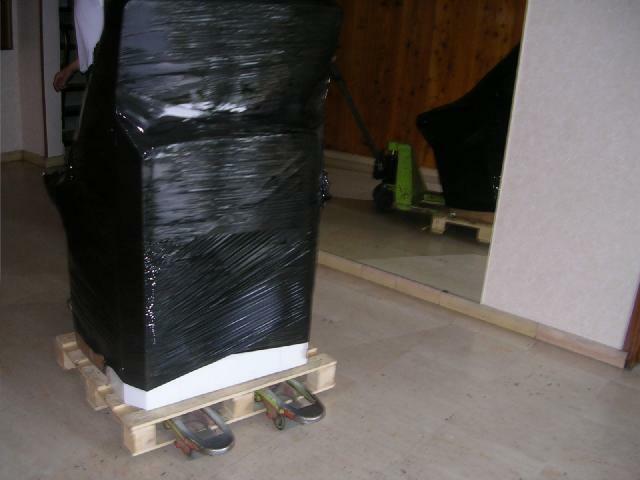 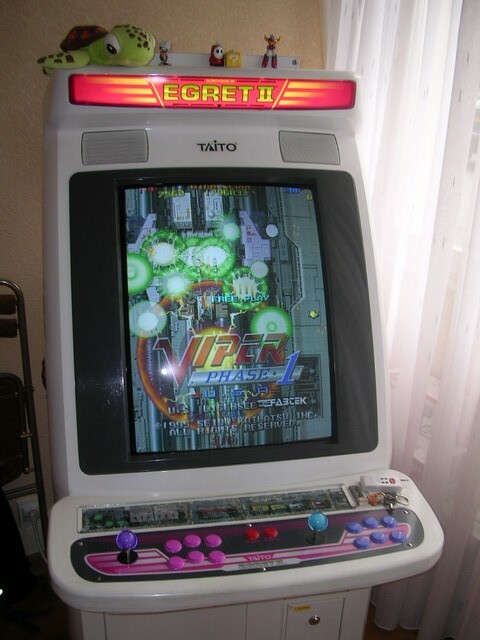 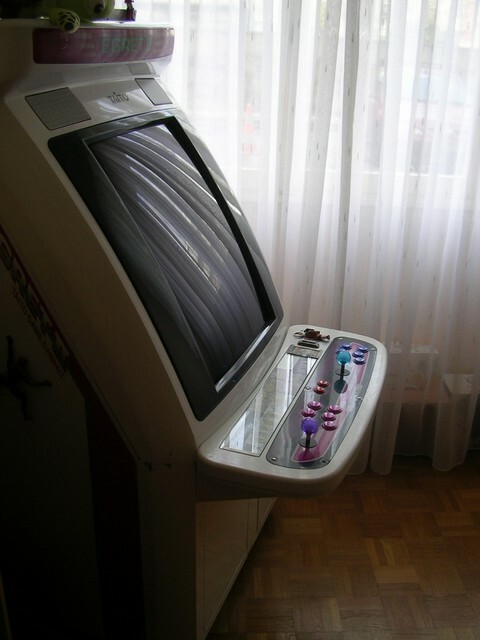 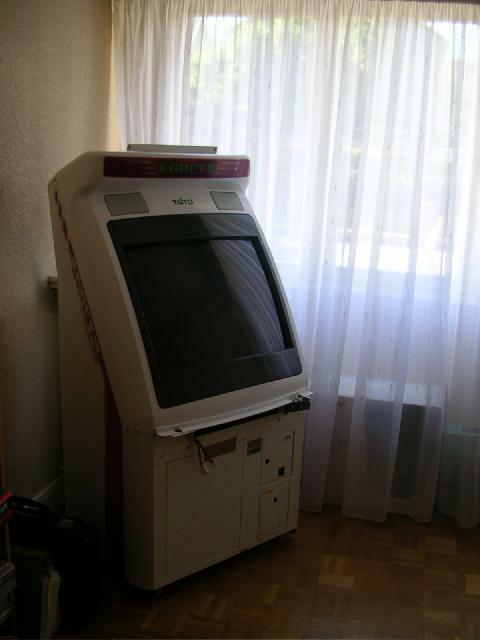 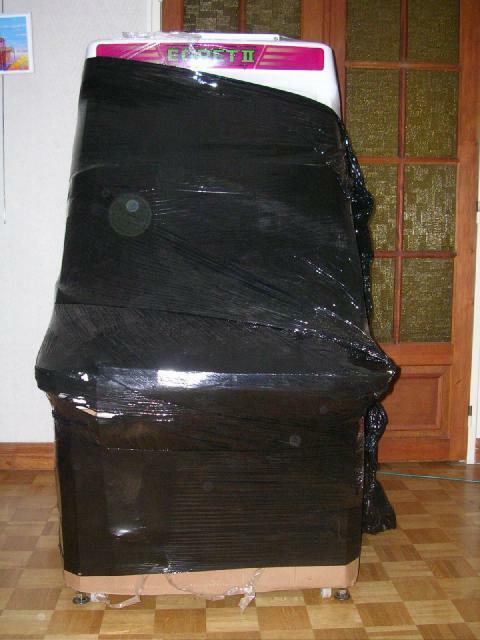 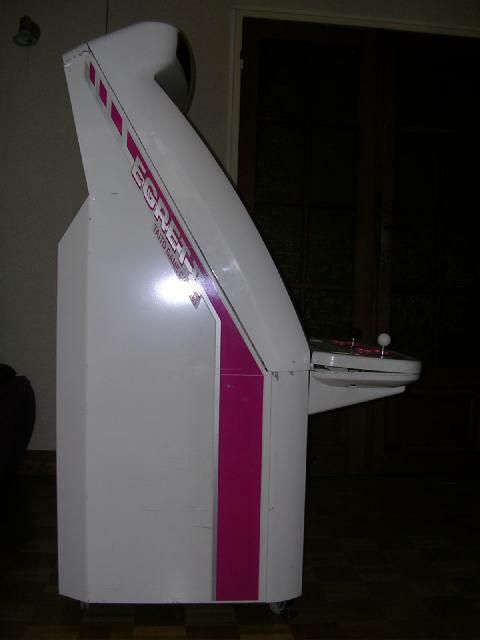 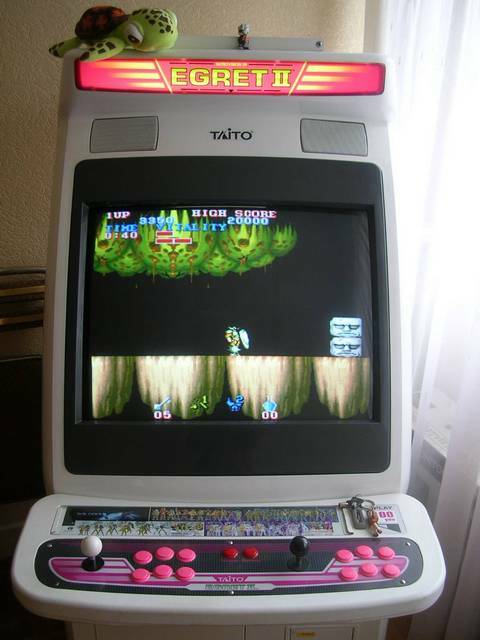 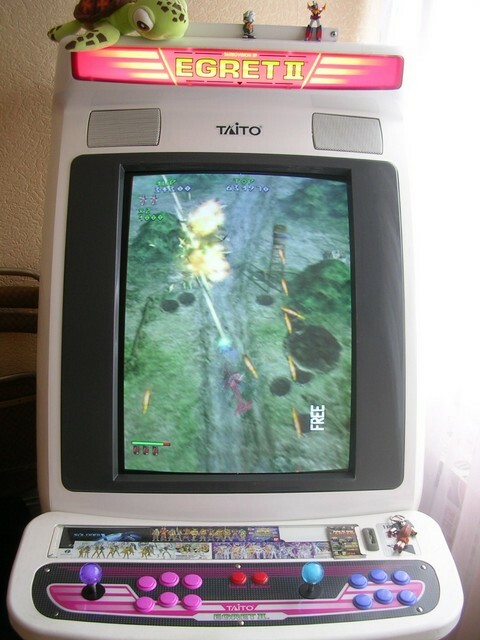 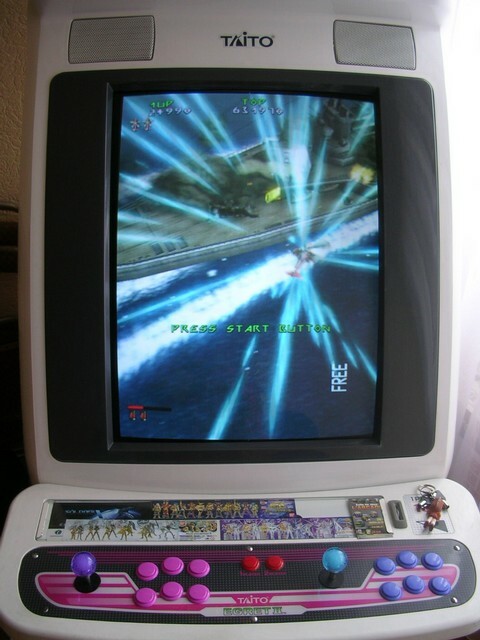 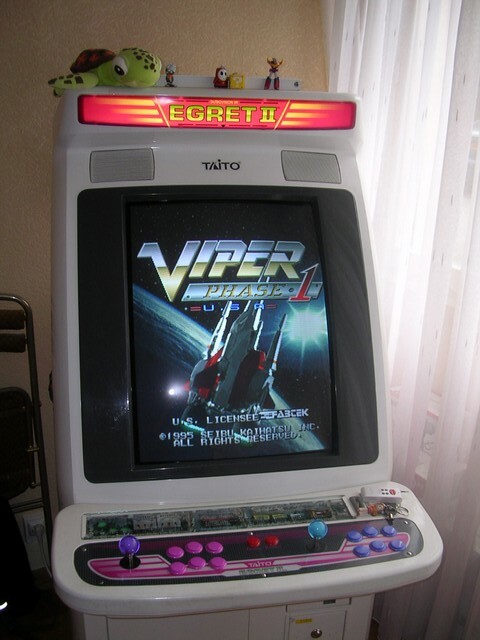 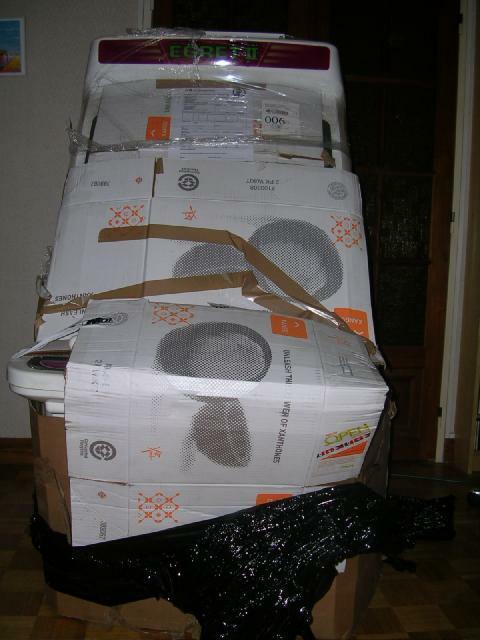 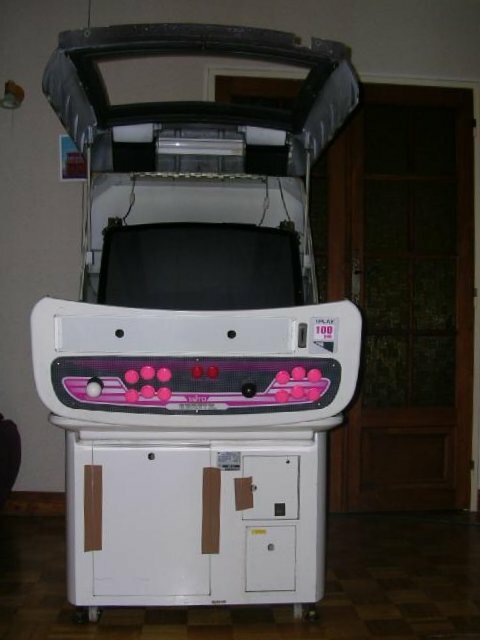 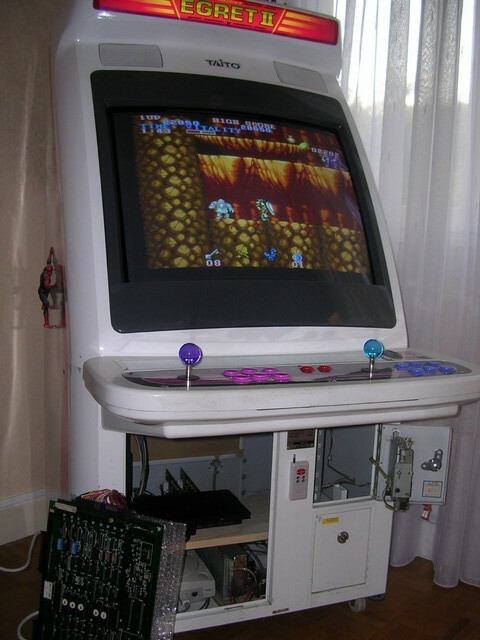 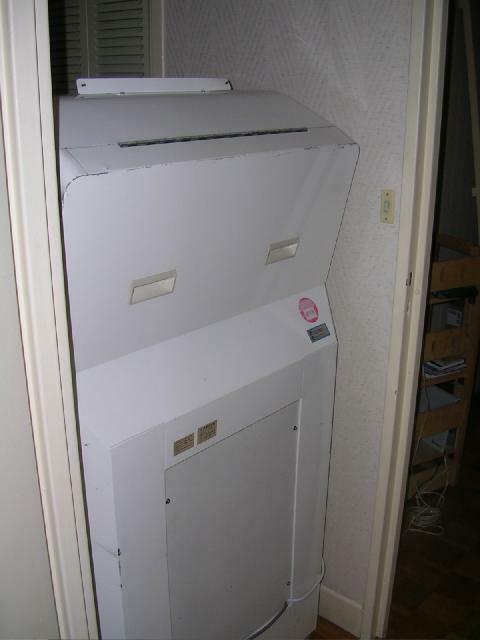 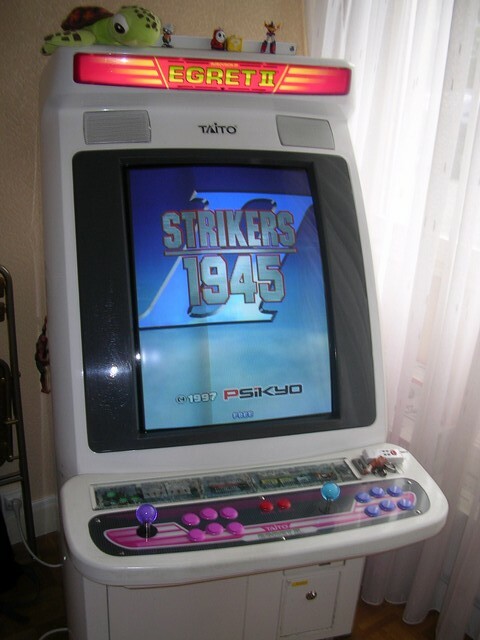 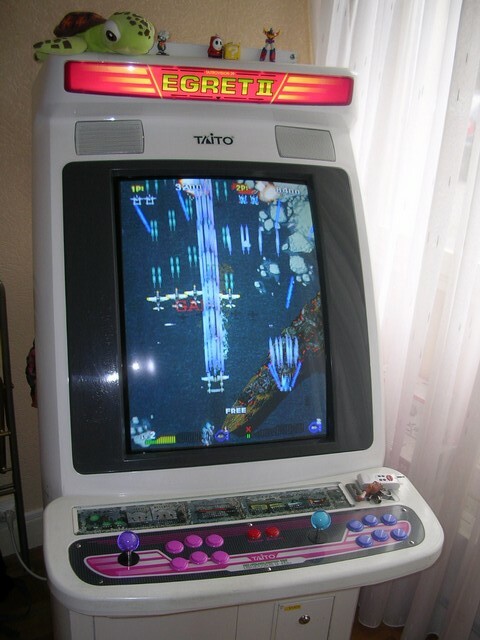 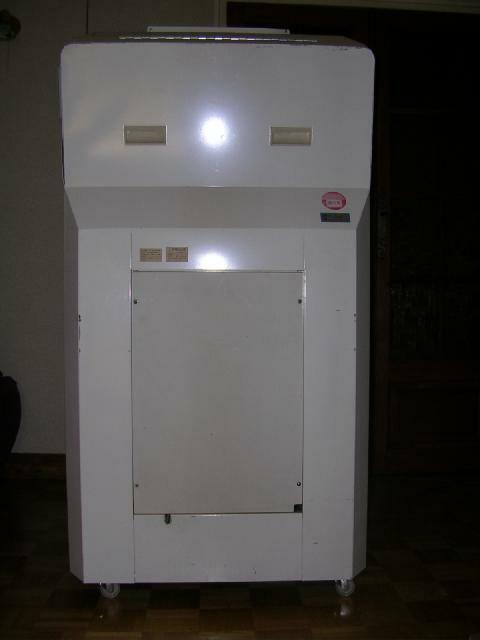 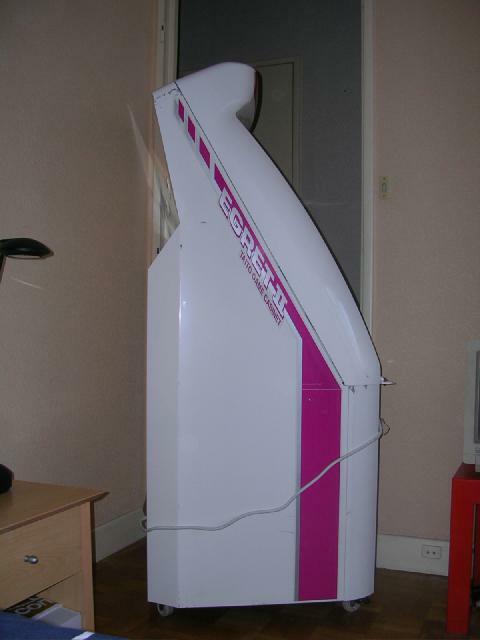 The third known Taito Egret2 cabinet in France at this time.